It will premier in November 18. The Official website of the film “Orange -Mirai-” has uploaded a new teaser for the upcoming movie. 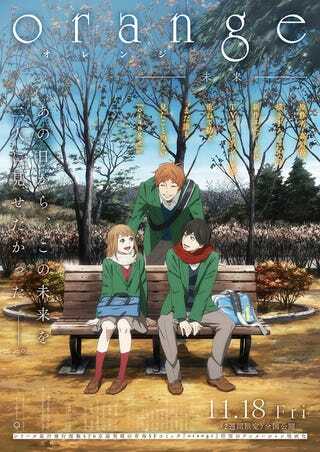 The Movie, besides being a retelling of the Anime from the point of view of Suwa, it also shows what happens after the events of the already mentioned animation. The Movie will have the same staff as the Tv Anime.